A full line of OEM compatible, field-replacement CO2 laser optics supplied plain or mounted for popular marking and engraving lasers are available for overnight shipment from Laser Research Optics of Providence, Rhode Island. 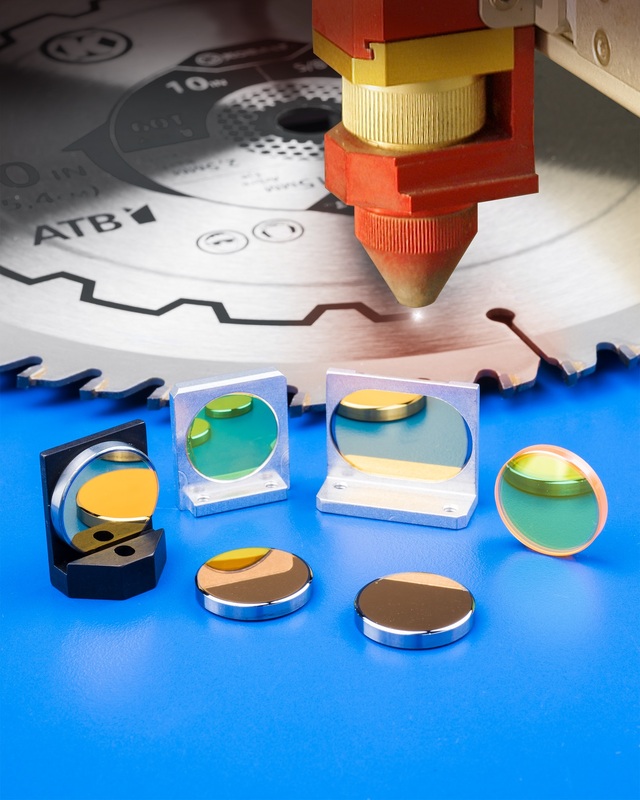 Laser Research CO2 Optics for marking and engraving lasers include lenses and mirrors that can be supplied stand-alone or pre-mounted and meet OEM and ISO-10110 specifications for optical elements. Optimized for 10.6 µm where depth of field is critical, lenses are available with focal lengths from 1” to 10”, starting at 1/2” increments, and are shipped from stock. Featuring < 0.2% total absorption values, Laser Research CO2 Optics are offered with various phase and polarization coatings. Lens sizes from 1/2” to 1-1/2” O.D. and 3/4” to 3” O.D. for mirrors are available for Camtech®, Emission®, Epilog®, Ferba®, GCC laser Pro®, Gravograph®, Jamieson®, Kern®, Pinnacle®, LST Lasers®, Synrad®, Trotec®, Universal® and Vytek® lasers. Laser Research CO2 Lenses and Mirrors are priced according to configuration and quantity; with delivery from stock within 24-hours.